The newspaper reported the adapter was purchased from a subcontractor and modified for the Zuma mission by Northrop Grumman, which also built the classified Zuma spacecraft and arranged for its launch with SpaceX. The modified payload adapter was tested three times on the ground, the Wall Street Journal reported. The Zuma payload failed to separate from the second stage of the Falcon 9 rocket after arriving in orbit, according to numerous sources. Following pre-programmed commands, the Falcon 9’s second stage engine reignited to drop out of orbit and burn up in Earth’s atmosphere over the Indian Ocean, apparently with Zuma still attached. The maneuver to send the Falcon 9 rocket falling back to Earth was designed to ensure the spent upper stage did not remain in orbit and become space junk. 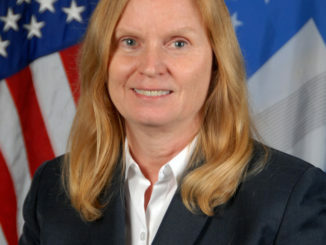 SpaceX president and chief operating officer Gwynne Shotwell adamantly refuted rumors that the Falcon 9 rocket was the cause of the accident. SpaceX declined to comment further due to the classified nature of the Zuma mission. 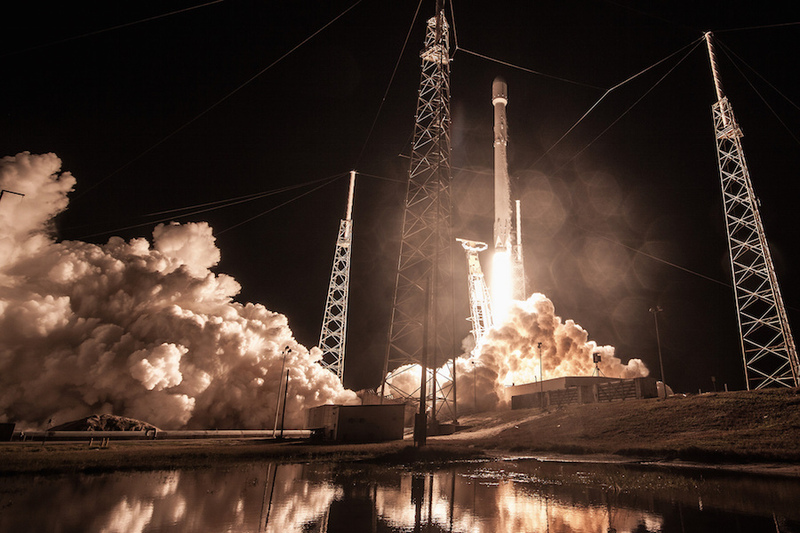 SpaceX rockets have continued launching since the Jan. 7 mission with Zuma, and NASA and the U.S. Air Force have expressed no concern about the Falcon 9’s ability to launch upcoming scientific and national security payloads. Little is known about the mysterious Zuma mission. No government agency claimed ownership of the payload, and the Pentagon has declined to comment on the mission. Launches of U.S. government spy satellites are typically acknowledged by the National Reconnaissance Office, and the military usually releases limited information about its space missions. A Northrop Grumman spokesperson did not respond to a request for comment Monday on the Wall Street Journal story. 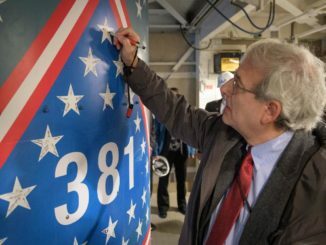 The newspaper said the Zuma spacecraft’s unique design was “particularly vulnerable to shock and vibration.” One person told the Wall Street Journal that Northrop Grumman modified the payload adapter to cushion the separation of Zuma once in orbit. Payload adapters usually provided by launch companies, not satellite manufacturers. The Wall Street Journal said the Zuma mission may have cost up to $3.5 billion to develop. Senior lawmakers were briefed on the failed launch, and were told the mission was a total loss, the newspaper reported. Northrop Grumman’s most high-profile space program, NASA’s James Webb Space Telescope, is also facing difficulties. 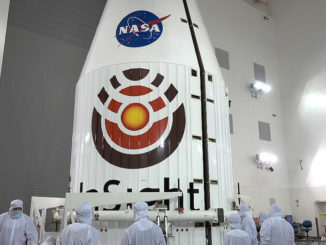 NASA announced last month the observatory’s launch would be delayed until around May 2020 after workers at Northrop Grumman’s factory in Redondo Beach, California, committed “avoidable mistakes” that damaged the spacecraft’s sunshield and thrusters. In a briefing to the National Academies of Sciences, Engineering and Medicine last month, NASA officials said they were changing personnel and adding oversight over Northrop Grumman’s work on the observatory program, which is projected to cost more than $10 billion, including investments by the United States, the European Space Agency and Canada. NASA officials told the National Academies that Northrop Grumman and independent review boards have compared the contractor’s experience with a secret mission known only as “Project X” to JWST. The so-called Project X and the Webb telescope are similarly complex, according to NASA’s briefing to the National Academies. Project X might be a reference to Zuma, or another unknown classified program. The Webb telescope will launch on a European Ariane 5 rocket from French Guiana — a major part of ESA’s contribution to the mission. Its payload adapter will be supplied by ESA and Arianespace, not Northrop Grumman.